The Israeli Occupation Authorities (IOA) have released Sunday the extremist Jewish settler Ofer Gamliel, member of Bat Ayin Jewish underground group, who was sentenced to a 15-year prison term for a failed bomb plot against an Arab girls’ school in occupied Jerusalem. Gamliel was convicted of plotting to bomb a local hospital in 2002 in Tur neighborhood in the occupied city of Jerusalem and an Arab girls’ school in the same year. He was released early from prison as “he does no longer present any threat to the public,” according to the IOA. Meanwhile, local Palestinian residents in Tur protested against Israeli police’s violations and attacks against their sons in occupied Jerusalem. A member of the Education Committee in Tur neighborhood Khader Abu Sbaitan pointed out that dozens of local students were injured and arrested during clashes that broke out due to the Israeli forces’ heavy provocative presence in the neighborhood. A Jewish Israeli extremist who was sentenced to 15 years in prison in 2002 for constructing and placing a bomb to kill Palestinian children will be released this month, two years ahead of schedule, according to Israeli sources. Ofer Gamliel and his accomplices Shlomi Dvir and Yarden Morag were members of the paramilitary group 'Bat Ayin Underground', made up of extremist right-wing settlers from the Hebron area. The three men put together a bomb and placed it in a baby carriage at the entrance to a girls' school in Jerusalem, with the hope to maximize civilian casualties when it exploded. They set the bomb to detonate at 7:20 am, just as the girls would be arriving for school. Police arrived on the scene in time to defuse the bomb before it exploded. According to Professor Michael Rubner's review of Ami Pedahzur and Arie Perliger's study of 'Jewish Terrorism in Israel', the Bat Ayin Underground were "a network of young and religiously observant third-generation West Bank settlers, Bat Ayin activists ignored Israeli authorities by establishing communal farms on West Bank hilltops, hoping to lay the foundation for a theocratic state based on Jewish religious law. Beginning in early 2001, members of the Underground initiated two types of attacks: firing at Palestinians in passing cars and placing explosives in public buildings, especially schools, in Arab villages around Hebron and East Jerusalem. " Two of the three men received 15-year prison terms, while the third, Yarden Morag, has already been released after his 12-year term. In 2006, the men's appeal of their case reached the Israeli High Court, which ruled against them and upheld their sentences. One of the judges that made that ruling stated, "The goal of the accused - which by miracle was not carried out - was to cause deaths of students and innocent bystanders, just because they were Arab. They [the three] did everything they could to carry out their criminal mission. The attempt to cause the deaths of many people, especially of students who are innocent of any crime, demands a severe punishment." Numerous human rights groups have pointed out the large disparity in sentencing between Palestinians who carry out attacks on civilians and Israelis who do the same, noting that the latter receive much lighter sentences and are often released early. While he was in prison, Ofer Gamliel's son was wounded in a 2009 attack by a Palestinian man suffering a psychotic break. The Palestinian man entered the settlement of Bat Ayin and began attacking people randomly with an axe, killing one and wounding several others. One of those wounded was Gamliel's 7-year old son. Given that his stated motivation in the 2002 attack was 'revenge', analysts have pointed out that this motivation may well have increased following the 2009 attack in which his son was injured. This was not mentioned in the parole board's decision to release Gamliel back into the Bat Ayin settlement. Bat Ayin is a controversial colony constructed on stolen Palestinian land in the Hebron area. Settlers who live in the colony are known for their right-wing views, with many of them gathering annually to celebrate the 1994 massacre of 29 Palestinian civilians in the Ibrahimi mosque by American Baruch Goldstein. It was the site of a 2012 firebombing attack on a Palestinian civilian car which badly burned six members of one family. Two unnamed boys, aged 12 and 13 at the time, were reprimanded by the Chief Rabbi of the colony for carrying out the attack, but they did not receive punishment beyond the reprimand. The Israel Prison Service had planned on releasing Ofer Gamliel conditionally, with the stipulation that he report to a police station twice a month, be banned from leaving the country until May 2017 and that he take part in a rehabilitation program. A member of a Jewish underground who was convicted of trying to blow up a Muslim girls' school in Jerusalem in 2002 will not be released from prison early, after a court overruled a decision by the prison parole board. The board had approved the early release of Ofer Gamliel, who has served 10 years of a 15-year-sentence for attempted murder in the plot to bomb the East Jerusalem school. The Shin Bet security service objected to his early release, maintaining that Gamliel, a member of the Bat Ayin underground, had not demonstrated true remorse for his actions and that keeping him in prison would serve as a deterrent to others – a position accepted by Court Justice Avraham Tal. The Israel Prison Service had planned on releasing Gamliel conditionally, with the stipulation that he report to a police station twice a month, be banned from leaving the country until May 2017 and that he take part in a rehabilitation program. Case officers reported that Gamliel had been behaving positively in prison, serving as a mentor to another prisoner who is under his watch, and participating in sessions with a social worker. However, other reports claimed that Gamliel had serious disciplinary problems and only accepted partial responsibility for his actions. In objecting to his release, the Shin Bet security service also argued that Gamliel had not taken full responsibility for his actionsandthat the committee had ignored the ideological background of his offense and his negative behavior in prison.The Shin Bet also asserted that Gamliel's case should serve as a deterrent to others and that his early release would damage the public’s confidence in the justice system. Gamliel’s attorney countered that he was being discriminated against, since his accomplice Yarden Morag was released early, in November 2009. (Another accompolice, Shlomo Dvir, is still in prison while his request for early release is being considered.) Gamliel’s lawyer also raised the case of Tali Fahima, a Jewish pro-Palestinian activist who was convicted of contacting Palestinian terrorists. She was released early even though she showed no remorse for her actions. In her case, no argument was made concerning the loss of public confidence in the justice system, he argued. Justice Avraham Tal said that while the court does not usually involve itself in the decisions of the parole board, “the basic principle is that the prisoner serve out his full term, and that it is not preordained that he enjoy early release. The onus is on him to convince the board that he is worthy of this, and that this will not endanger the public." The court sided with the state in ruling that the proposal for conditional release did not appear to negate the public risk of releasing Gamliel. The Prison Service decision to rehabilitate members of the Bat Ayin underground marks a shift in policy, but one that applies only to Jewish security prisoners. The Israel Prison Service's decision last week to approve the early release of a member of the so-called Bat Ayin underground – which attempted to blow up a girls' school in East Jerusalem – and to discuss the case of another inmate from the same group indicates that the Service has begun rehabilitating security prisoners. In addition, the parole board's discussion of the cases involving Ofer Gamliel and Shlomo Dvir shows that two inmates have received benefits for which security prisoners are usually ineligible: They were allowed to make phone calls from prison and were given furloughs. Despite the Prison Service's decisions, the Shin Bet and State Prosecutor’s Office oppose the release of both men. The Prison Service actions mark a shift in policy, but one that applies only to Jewish security prisoners. It also goes against the state's response to a petition filed by an Israel Arab security prisoner, who sought to undergo rehabilitation in prison. On January 13, 2013, the State Prosecutor’s Office responded to the petition from Hamza Masri, who is serving a nine-year sentence for security offenses, stating, “The rehabilitation of security prisoners is under system-wide examination,” and asking the court for a three-month extension to respond to the petition. Masri was convicted of having bought a gun from the head of Tanzim in Qalqilyah and selling it in Israel for money or drugs. The petition came in the wake of Amendment 42 to the prison system rules that states: “A prisoner shall be included in rehabilitation activities according to the date, the scope and the conditions outlined in the amendments and in Prison Service rules.” While the state had asked the court for time to implement the amendment, it had begun rehabilitating Jewish security prisoners – but without saying so. Security prisoners have extremely slim chances of proving they have changed, feel remorse and are ready to continue the rehabilitation process on the outside. In a rare case, the parole board recently consented to the early release of a Palestinian security prisoner, Bassem Samir Salman, who had been sentenced to 16.5 years in jail. But the state appealed, claiming that the prisoner did not meet the conditions for parole. Shin Bet officials said the matter is under the Prison Service’s jurisdiction. Paragraph 4B of the Prison Service commissioner’s directive deals with granting leniency to prisoners in terms of contact with the outside world. Exceptions may be made and leniency granted only if the Shin Bet determines that the prisoner has cut off all direct or indirect ties to terror groups. Ofer Gamliel, convicted of attempting to set off explosives at a girls' school, is approved for early release for good behavior. 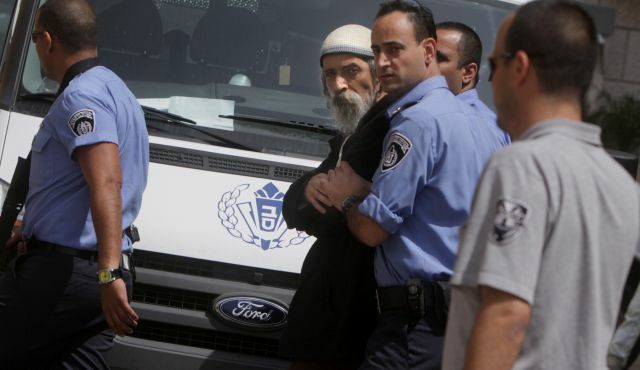 The Israel Prisons Service parole board Wednesday approved the early release of a prisoner convicted of attempting to blow up a school in East Jerusalem, after he served 10 years of a 15-year sentence. Ofer Gamliel, a member of the so-called Bat Ayin underground, together with an accomplice, Shlomi Dvir, was convicted of attempting to set off explosives they brought to the school in a wagon. At the request of the state, Gamliel’s release has been delayed for a week. In May 2012, Gamliel and Dvir filed for reduction of their sentence by one third, due to the fact that they had expressed regret for their actions and had a record of good behavior behind bars. Haaretz has learned that a number of meetings have already been held on the matter with the participation of Attorney General Yehuda Weinstein and Shin Bet chief Yoram Cohen, who have stated their opposition to the early release. The parole board is to meet next month to discuss Dvir’s release. The Bat Ayin underground was uncovered in 2002, during the second intifada, when the Shin Bet security service arrested a number of people involved in the attempt to blow up the school for girls, located in the capital’s Abu Tor neighborhood. In 2003, Gamliel and Dvir were arrested; Dvir was apprehended at the site of the intended attack, with the wagon containing the explosives. Both men were sentenced to 15 years in prison, which they began to serve in June of 2002. Some of the other members of the underground, also imprisoned for their part in the affair, have already completed their prison term. Ofer Gamliel, father of injured seven-year-old Yair, is imprisoned for planning to attack a Jerusalem Arab girls' school. The jailed father of a 7-year-old boy wounded by an axe-wielding Palestinian in the West Bank settlement of Bat Ayin on Thursday has been granted temporary leave to visit his son in hospital. Ofer Gamliel, who is serving a 15 year sentence for his involvement in a Jewish militant underground during the second Intifada, was allowed Friday to visit his son Yair who was moderately injured in the attack a day earlier. On Thursday, Gamliel refused Prison Service's offer to visit his son in the company of guards, unshackled and wearing inmate's clothing.He demanded instead to be granted temporary furlough and to wear the jalabiya - traditional Arab garb that he wears within prison walls. Initially, prison officials initially made it clear that Gamliel would not be allowed to leave the premises in the jalabiya and the man decided to stay in prison rather than visit his son. Gamliel and Prison Services finally struck a compromise that he could wear the garb so long as he had it tucked in his pants and maintained a dignified appearance. Ofer Gamliel's brother, Meir Avihu Gamliel, was outraged by the Prison Service's insistence, dubbing it "power struggles." "Ofer was approved for leave immediately after the attack, since he should be there by his child's side," Gamliel said. "The Shin Bet did not oppose to the visit. Only later did the prison service say they changed their minds and disallowed his leave, relegating him to just a visit while accompanied by prison guards, and with shackled hands." "Ofer agreed to leave the prison under the prison service's conditions, but then, just as he was leaving, the security officer told him that he could not go out wearing the Jellabiya he wears every day," he added. Earlier Friday morning, Yair Gamliel was operated on in Hadassah Hospital in Jerusalem. He was then transferred to the hospital's pediatric intensive care unit, fully conscience. Ofer Gamliel is currently serving a prison sentence for his involvement in the 'Bat Ayin Underground,' which planned an attack several years ago at a girls' school in the A-Tor neighborhood in East Jerusalem. The 'Bat Ayin Underground' was active in the West Bank and East Jerusalem during the early years of the Second Intifada. In April 2002, police arrested Shlomo Dvir, Yarden Morag and Ofer Gamliel, 'Bat Ayin underground' members, who were later convicted of attempting to place an explosive device near the East Jerusalem school. Morag and Gamliel were sentenced to 15 years each, while Dvir was sentenced to 12 years. Additional Bat Ayin residents were arrested and convicted in connection to the attempted attack. Gamliel, 47, was a carpenter and father of seven children. Six months ago, he went on a hunger strike to protest the conditions in jail. Last October, Interior Minister Eli Yishai asked President Shimon Peres to intervene on behalf of Gamliel and his associates to improve the conditions of their imprisonment. Three settlers sentenced for attempting to bomb Palestinian girls' school ask court to overturn conviction. The Supreme Court on Monday rejected the appeals of three men convicted of attempting to bomb a Palestinian girls' school in East Jerusalem. 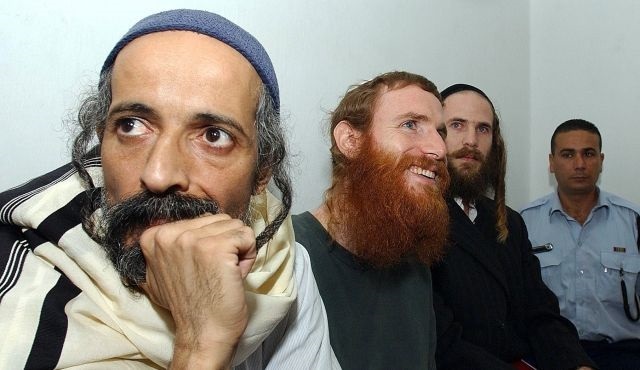 Shlomo Dvir, Ofer Gamliel, and Yarden Morag - nicknamed the "Bat Ayin Underground" - appealed to the court to overturn their convictions and punishments. Shlomo Dvir and Ofer Gamliel were sentenced to 15 years, while Yarden Morag was sentenced to a 12-year prison term. Justices Dorit Beinisch, Aharon Barak, and Eliezer Rivlin rejected the appeal. In her ruling, Benisch wrote "The goal of the accused - which by miracle was not carried out - was to cause deaths of students and innocent bystanders, just because they were Arab. They [the three] did everything they could to carry out their criminal mission." Beinish wrote that "the attempt to cause the deaths of many people, especially of students who are innocent of any crime, demands a severe punishment." She also wrote that "the pain that the accused suffered as a result of the deaths to those close to them from terrorist bombings cannot ease even by a bit the severity of the punishment." The three were said to have parked an explosives-laden baby cart outside the main entrance to the school at 3:30 A.M. on April 29, 2002, and set the timer for 7:25 A.M., just as students would be arriving. Last week, the court unanimously rejected an appeal by right-wing activist Shachar Dvir-Zeliger, Shlomo's brother, against his conviction on six counts, including membership in a terror group and the illegal possession of arms. Dvir-Zeliger, of the Adei-Ad outpost near the West Bank city of Ramallah, was convicted two years ago of stealing rifles and explosives from the Israel Defense Forces, of conspiring to carry out terror attacks against Arabs and of illegal possession of arms. The Jerusalem District Court sentenced Dvir-Zeliger to eight years and an additional two years' suspended sentence. ﻿A bomb filled with screws and nails exploded today in the courtyard of an isolated Palestinian school here in the West Bank, near the main highway south of Hebron, half an hour before schoolchildren were to go outside for their midmorning break. Five children inside the school were wounded by glass and debris, none seriously. But the headmaster and teachers described a scene of utter panic as pupils shrieked and scrambled under their desks under a thick cloud of dust. Israeli bomb experts detonated a second bomb found on the school grounds. The Israeli police combed the scene for four hours, and said only that they had no immediate suspects. But Israel Radio reported that army and secret service officials privately said their working assumption was that the bombs were planted by Jews. The Yesha Council of Jewish Settlements in the West Bank and Gaza Strip issued a statement condemning the placement of bombs in Palestinian schools. The school here stands on a hilltop, surrounded by vineyards and olive groves, half a mile from the site of two shooting attacks on July 26 in which four settlers were killed, including a 9-year-old boy. The area is under Israeli security control. The funerals of the Jewish victims on July 28 set off a rampage by settlers in Hebron, in which a 14-year old Palestinian girl was shot dead, several Palestinians were wounded, and Israeli photographers were beaten. The Jews in Hebron and in settlements south of it are regarded as among the most ideologically militant of the settlers. The site of the July 26 attacks is marked by a crude memorial made from the hood of a car, and Palestinians in the area said settlers held regular memorial services there, including one Monday evening at the conclusion of the Jewish Day of Atonement. The headmaster of the Zif school -- a simple concrete two-story building attended by about 350 boys and girls ages 6 to 16 -- said the bomb went off about 9:45 a.m. next to the outdoor bathrooms and the girls' drinking fountains. Stones, screws and dust smashed through windows, leaving debris scattered across the courtyard. The headmaster, Yussef Abed Rabbo, said the children had recess scheduled at 10:25 a.m., when many of them would have been at the bathrooms and drinking fountains. Mr. Abed Rabbo said he went out after the blast and saw a suspicious bag near the site of the first explosion. That bag later proved to be a second bomb, which Israeli bomb-demolition experts later set off. The Israeli police at the site described the bomb as a small one, though reported estimates ranged from 4 to 20 pounds. Bent screws and nails, evidently packed with the explosive, were scattered across the courtyard. At a nearby Palestinian house, 6-year-old Ahmad Hushiya lay on a mattress with a bandage on his head and a gash on his leg. The first grader, who has started school only recently, had gone out for a drink and was walking away when the bomb went off. In April, the Israeli police arrested six settlers, including militant settlers from Hebron, who are accused of planting bombs in Arab schools in Jerusalem. In the first episode, on March 5, the headmaster of a school in southern Jerusalem spotted suspicious objects in the playground and herded the students away just before they exploded. Then in April, the Israeli police intercepted two settlers in an Arab neighborhood of Jerusalem unhooking a trailer near a girls' school. It was found to contain a powerful bomb set to go off at 7:35 a.m., when students arrived at the school. In the Gaza Strip today, a strong force of Israeli tanks and armored vehicles sliced into the southern city of Khan Younis for several hours. The army said the forces demolished nine foundries used to manufacture bombs and rockets, and detained 23 people. The army has mounted regular raids into the Gaza Strip in recent weeks. Today also marked two anniversaries -- one noted by the Israelis and the other by the Palestinians. For the Israelis, it was the 29th anniversary of the 1973 Middle East war, also known as the Yom Kippur war, in which Israel came under surprise attack from Egypt and Syria, assisted by other Arab nations. For the Palestinians, it was the 20th anniversary of the massacre at Sabra and Shatila, in which Lebanese Phalangists entered Palestinian refugee camps in Beirut and slaughtered several hundred people. An Israeli commission found Mr. Sharon, then defense minister, indirectly responsible for failing to anticipate the Phalangist violence. Major Palestinian newspapers marked the anniversary with photographs of demonstrations in Beirut. Photos: Ahmad Hushiya, 6, left, was injured when he went to get a drink from the water fountain before the bomb went off. Halimah Abed-Rabu, right, a teacher, waited outside the school as the second bomb was detonated. ; Jamal Jabarin, secretary of the Zif village school, as he saw the damage caused by a bomb that exploded in the school's courtyard yesterday. The police detonated a second bomb that was found on the grounds. (Photographs by Rina Castelnuovo for The New York Times) Map of Israel highlighting Zif: The bomb exploded at a school in Zif half an hour before recess.